This quick and easy non-toxic DIY Grill Cleaner is a must during summer! 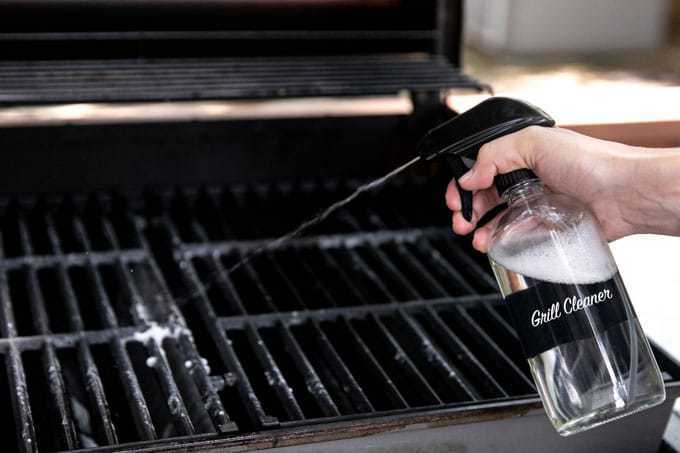 Homemade grill cleaner is not only safer and cheaper, but also makes a perfect Father’s Day gift. You just need four natural ingredients, no harmful ammonia, to cleanse your grill grates, improve taste, reduce gas expenses and prevent rust! Father’s Day is coming up June 17, and I don’t know about you, but my dad is not an easy man to shop for. He hasn’t bought a new outfit since 1972 (and has no desire for someone else to do it for him), he already owns every techy gadget on the planet, and I’m pretty sure he alone keeps Bass Pro Shops in business. So this year, I decided to take matters into my own hands and create something unique and special for my dad, that’s also practical and perfect for any man who likes to grill (read: pretty much every man I know). If you want to go big and get a brand new grill for your lucky man, I have the Weber Genesis II from Home Depot and love it! If you don’t have the space or budget for an outdoor grill, you can achieve a similar effect in a stovetop grill like Lodge’s Cast Iron Square Grill Pan. So, why is it important to clean your grill in the first place? It’ll save you money in the long run, as you’ll use less gas from having to burn off the extra grease and crud leftover from previous uses. Summer grilling is all about ease, so why would you want to make your own grill cleaner when you can buy it in the store? 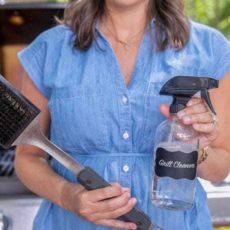 Unfortunately, like most store-bought cleaning products, tons of known chemicals, carcinogens, hormone disruptors and skin irritants make up the ingredient lists of most grill cleaners. Sodium Hydroxide: Skin irritant causing allergic reactions, damage to vision and adverse respiratory effects. Ethanolamine: Same as sodium hydroxide, plus exposure to this toxin also causes organ damage and negative nervous system effects. 2-Butoxyethanol: Can cause a host of problems including adverse digestive effects, red blood cell damage, cancer, nervous system disruption, developmental and reproductive effects on the endocrine system, and more. Sodium Metasilicate: Skin irritant causing allergic reactions and possible damage to vision and adverse respiratory effects. Fragrance: Hormone disruptor and among the top five allergens in the world. Paraffin: Inhalation is linked to lung cancer and other respiratory problems; can also cause nausea, vomiting and headaches. Butane + Propane: Has caused sudden death from sniffing, cardiac arrhythmia, fluctuations in blood pressure, temporary memory loss and drowsiness. 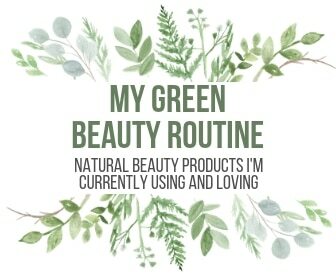 Potentially even more disturbing is green washing, which is when marketing buzzwords are deceptively used to promote the perception that a company’s products, aims or policies are environmentally friendly–but they really aren’t. This is scary because you think you’re making a better decision and getting a safer product for you and your family, but the truth is that the product is still toxic. That’s why I always read the ingredients label, and ignore any claims on the front of the bottle. Example: Simple Green Heavy Duty BBQ & Grill Cleaner sounds clean, right. Green is in the title…but…turns out, it’s so toxic, it’s rated a D by the EWG. Convinced that you should make your own DIY grill cleaner yet? 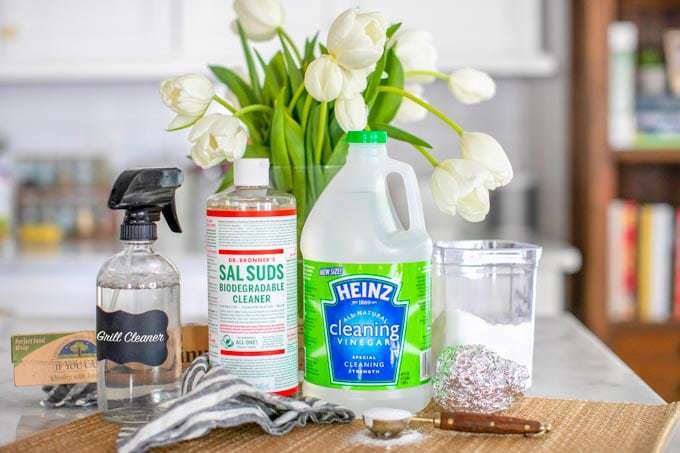 Even if you can find some natural cleaners that aren’t full of toxic chemicals, you’ll likely have to shell out a pretty penny. In fact, most store-bought grill cleaners will cost you at least $10. 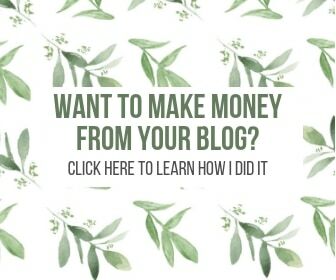 Making your own DIY Grill Cleaner is extremely affordable (you likely already have all the ingredients you need on hand so you want have to spend any extra money!) and super effective. This DIY Grill Cleaner recipe is super easy! Like pretty much all of the DIY Cleaning recipes I share on R+R, if you can measure liquid into a tablespoon, you can make this! It’s really that simple. This recipe has typical green cleaning ingredients like vinegar, baking soda and natural soap. 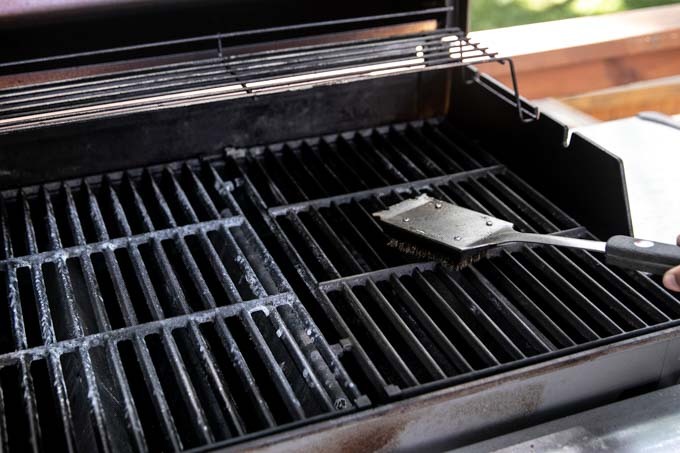 You can use aluminum foil crumpled up like a baseball to scour the grill clean, or if you prefer a grill brush, that works great too. When it’s all said and clean, we’ll spray avocado oil (since it’s high heat safe) over the grates to prevent rust and season them. 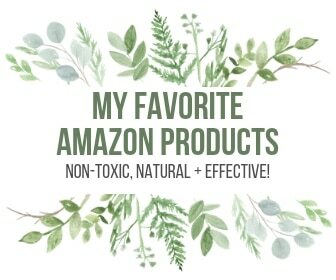 I recommend Chosen Foods Avocado Oil Spray for ease. 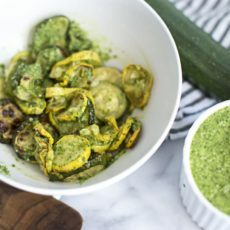 You can find all of the ingredients you need for this recipe at Sprouts Farmers Market, which specializes in healthy, natural and organic food and wellness products at affordable prices! 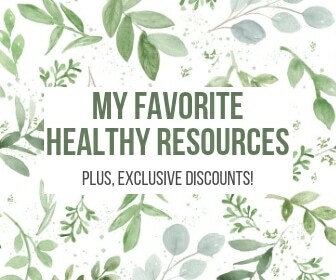 In fact, their Health section is one of my favorite places to buy affordable, natural ingredients for DIY recipes. From non-toxic soaps and essential oils to bulk bins for natural powders, Sprouts has one of the best natural wellness sections. 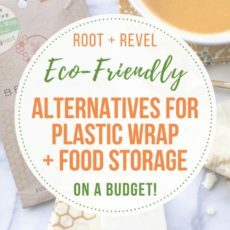 If you try this DIY Grill Cleaner Recipe, be sure to share a photo and tag me @rootandrevel on social media–I’d LOVE to see how it turned out for you! 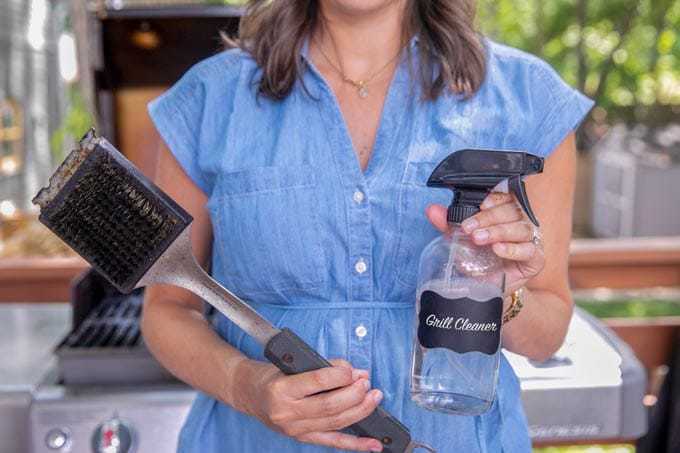 This quick and easy non-toxic DIY Grill Cleaner is a must during summer! 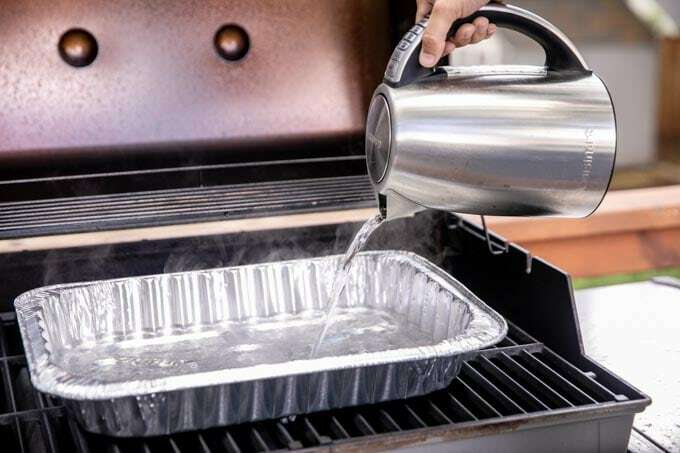 Homemade grill cleaner is not only safer and cheaper, but also makes a perfect Father's Day gift. You just need four natural ingredients, no harmful ammonia, to cleanse your grill grates, improve taste, reduce gas expenses and prevent rust! Meanwhile, combine Baking Soda and Sal Suds with 12 ounces of warm water. Pour into a glass bottle fitted with a sprayer and add vinegar. Gently swirl to combine. 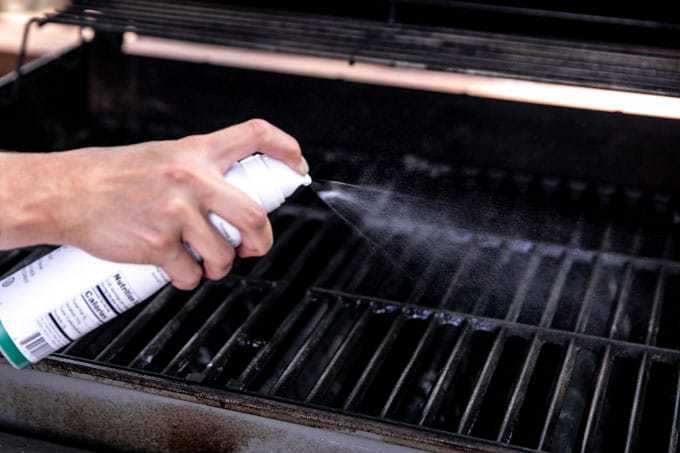 Spray cleaning mixture onto grill to thoroughly coat the grates. Ball up aluminum foil until it's the size of a baseball and scour the grill to clean. If you prefer a grill brush, that works great too. Can’t wait to make this for my dad! He just got a new grill and I love the idea of cleaning it naturally and safely.